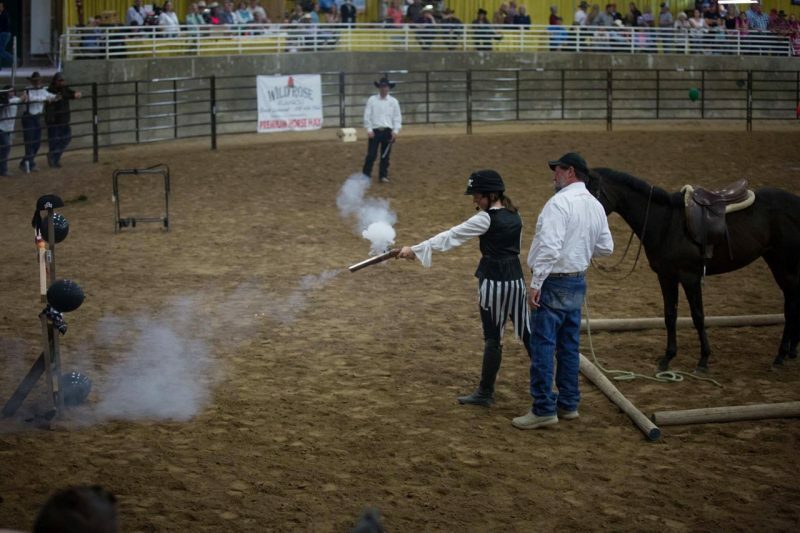 Quarter Horses, rodeos and cattle work are the predominant elements of the equestrian scene in Utah. Western horses and riders outnumber English perhaps 10-1. 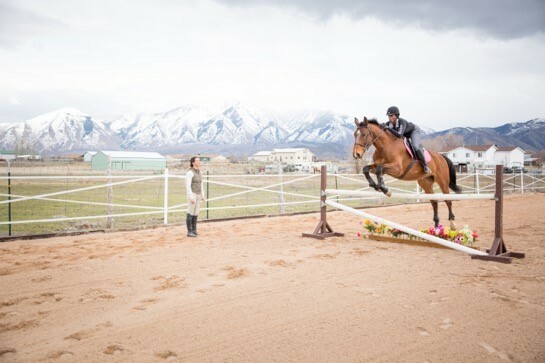 But last March, hunter-jumper trainer Sara Kirby defied the odds and helped bring a little more exposure to the Utah English equestrian community when she became the first English trainer — and the first woman — to win the Utah Horse Trainer Challenge. 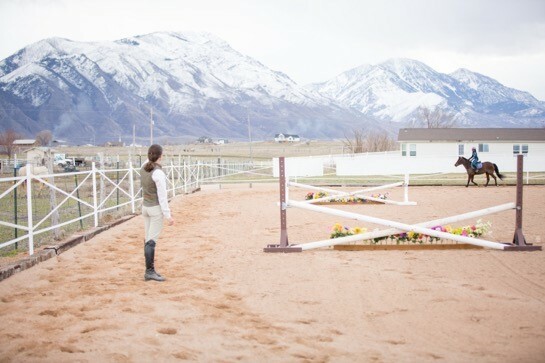 Creekside Equestrian is in Payson, Utah, set against the backdrop of the Wasatch Front in the Rocky Mountains. And that’s what she’s been doing ever since. 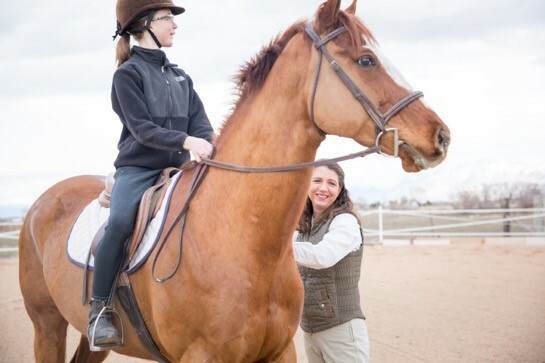 She and her commendably supportive “horse hubby,” Patrick, moved to Payson, Utah, with their three daughters, Abby, Payton and Jocee — now 12, 9 and 6 years old — and established Creekside Equestrian Center. “When I moved in, I had neighbors stopping by to say hi, and they saw we had horses. 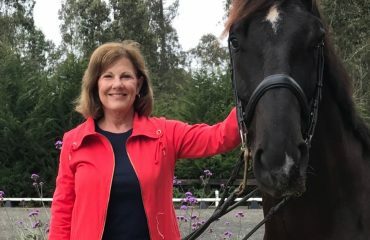 When I said I did jumping horses, they didn’t quite know what to say,” Sara remembered of moving to the street where cattle drives — down the middle of the road — were more common than a saddle without a horn. At Creekside, Sara teaches students from adult to as young as 2 years old. 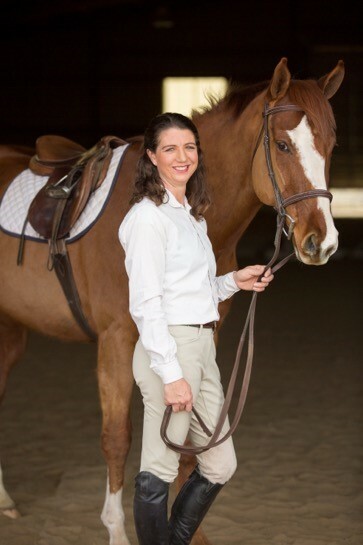 She trains horses for clients in addition to her own to resell. 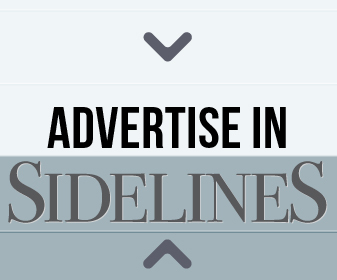 She has trained many off-the-track Thoroughbreds as well as ponies and warmbloods — plenty of experience to use in the 60-day Utah Horse Council’s Horse Trainer Challenge, which would culminate in a public competition over a weekend at the Utah Horse Expo. Sara Kirby and Dolla. In just 60 days, Sara transformed Dolla from skittish and untouchable to friendly, calm and obedient. 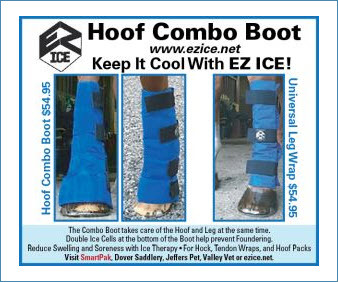 The tryout process for the Challenge began with a competition with each trainer on his or her own horse. 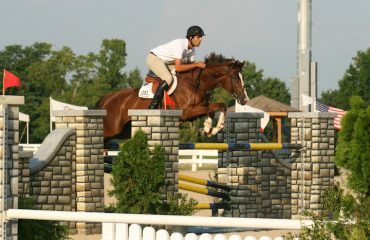 They rode through a pattern in front of judges, and narrowed it down to six trainers. 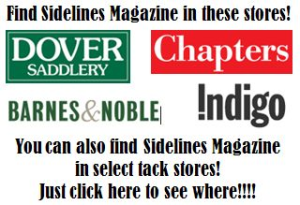 Each of the six trainers gave a demonstration with an unhandled yearling in a round pen, and from there they selected the four finalists, who were each given a 2-year-old filly. Sara was the first English trainer to ever be chosen as a finalist. 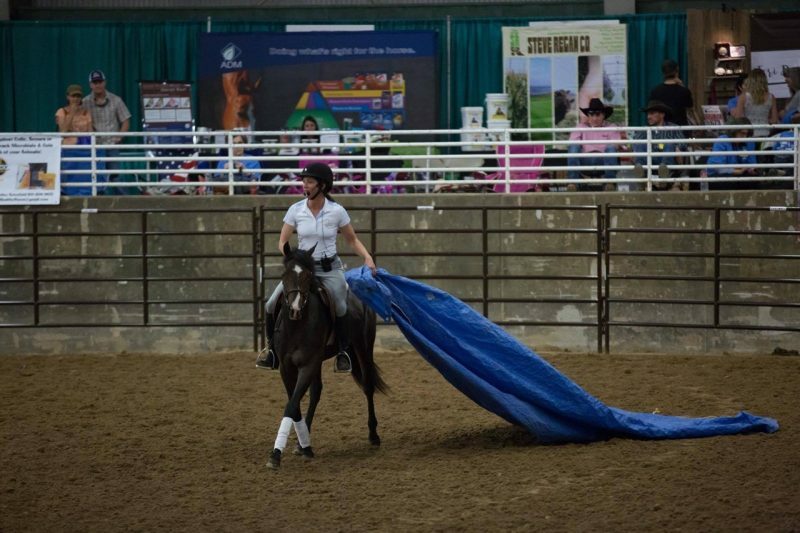 As part of the Utah Horse Expo, Dolla was auctioned off before the results of the Trainer Challenge. She was sold to one of Sara’s former students as a barrel prospect. 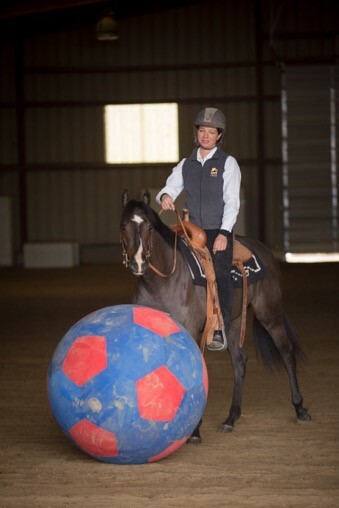 Sara trained with anything and everything to prepare Dolla for the Utah Horse Trainer Challenge. At the Expo, each of the four finalist trainers competed in six different events. 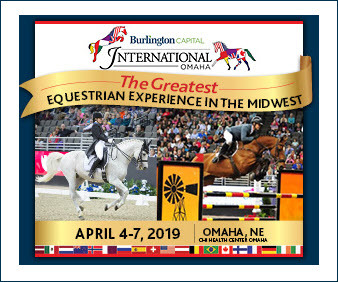 “Each time that you competed, you were in the arena for anywhere from a half hour to an hour with a mic, and you were demonstrating what your horse could do but also teaching a clinic at the same time, explaining what you were doing and how you were doing it,” Sara said. Dressed in pirate garb for their freestyle, Sara had to fire an antique black powder pistol to pop balloons with Dolla ground-tied behind her. 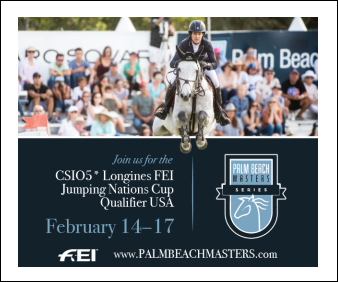 Judges scored each trainer’s teaching and interaction with the audience, the horse’s performance and the training that was done on the spot. The audience also voted for their favorite trainer each day, and the most favorited trainer at the end of the week received a people’s choice award. 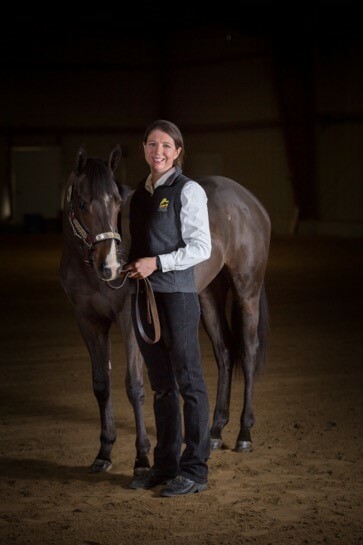 By winning both the Horse Trainer Challenge and the people’s choice award, Sara now owns not just one but two Western saddles, and she learned a lot along the way. Since the Expo, Sara has been riding more Western — as have her girls. Sara bought several ponies with the Challenge winnings, including one Western-type horse, and now has several Western horses in training. Both Abby and Payton qualified for the State 4-H Western Championships, where 9-year-old Payton will show a 3-year-old pony in a test of her own training skills. When asked about her own goals for the future, Sara laughed.